Confucianism is one of the backbones of Chinese culture and way of life. In China, this philosophy is blended with Taoism and Buddhism in much of the country. It is difficult to say how many people follow Confucianism, as it is not a registered philosophy or church, and few people describe themselves only as Confucianism followers. Nevertheless, it is essential to understand Confucianism if you are planning to move to China or other countries in East Asia. 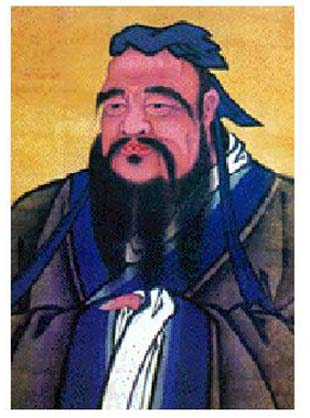 Confucius, aka K’ung Fu Tzu, was born in 551 BC in the state of Lu, or modern-day Shantung, China, which was during the Chou Dynasty. Confucius opened a school when he was 22, and was then appointed Minister of Justice of Lu. He left his position and spent 13 years wandering around China and teaching philosophies to assorted rulers. He gained some followers, and then settled in Lu and continued to teach there, until he died in 479 BC. By today’s standards, he was a conservative thinker who valued order. Confucius believed that one must obey the written laws of society. However, there must not be an abundance of arbitrary laws. For society to run smoothly, there should not be too many invasive laws. Needless to say, Confucius was not an egalitarian. The only one of these relationships that is on equal grounds is friend to friend. He believed that there needed to be hierarchy and order for greater society (or for a family, school etc) to function. Confucius also emphasized a respect for deceased ancestors. These beliefs and relationships were not solely for the living, but for all souls. Children must respect their parents greatly, and they owe a lot to their parents. However, those who are superior, like parents, owe benevolence and protection of the younger and more inferior people. There are six sects of Confucianism: Han Confucianism, Neo-Confucianism, Contemporary Neo-Confucianism, Korean Confucianism, Japanese Confucianism and Singapore Confucianism. The philosophy has adapted to different times and separate cultures. Click here to view the texts and other information about Confucius in many languages.